It’s that time of the year when we bond with our loved ones over pie…and TV. So as Netflix prepares to roll out Gilmore Girls: A Year in the Life on November 25, we thought we’d bring you some of our favorite pies to eat as you and your favorite TV companions watch Lorelai, Rory, and Emily Gilmore through four seasons of change…and food. 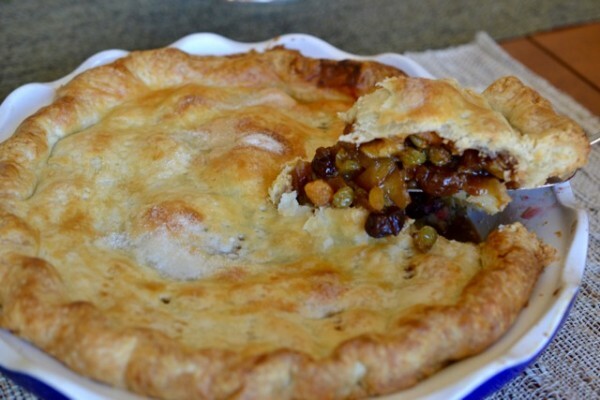 Mince Fruit Pie – like mincemeat, but there’s no meat in there. So since Thanksgiving is just around the corner, let’s start with Mince Fruit Pie – it’s one of our family’s favorites and it’s perfectly fall-themed. Yes, it has the word “mince” in it, but there’s no meat in there – it’s actually chock-full of fruit. 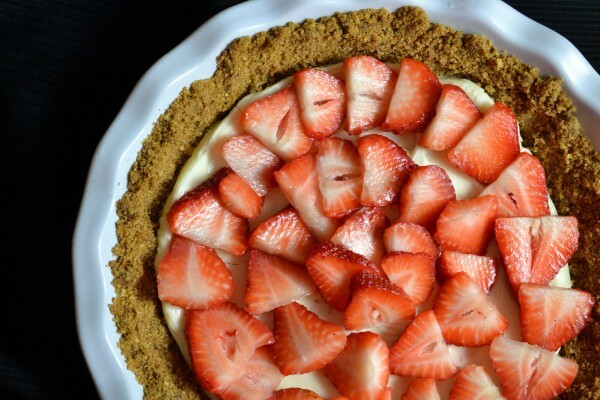 If you’re looking for a quick fix, you can always try this Easy-As-Pie Strawberry Pie that you can pull together with ingredients you most likely have in your cupboard and fridge. (Surprise! 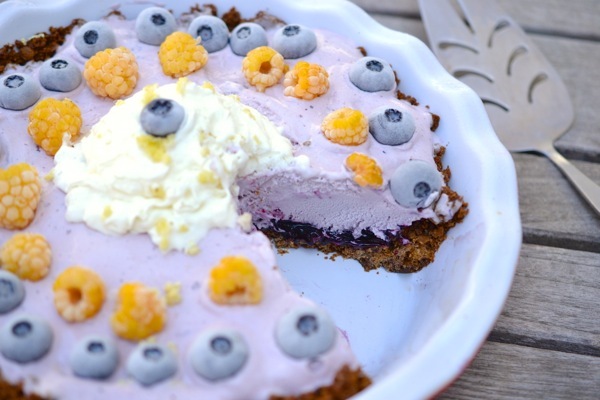 It’s got a super-secret layer of chocolate on top of the crust!). Want to get the kids involved? 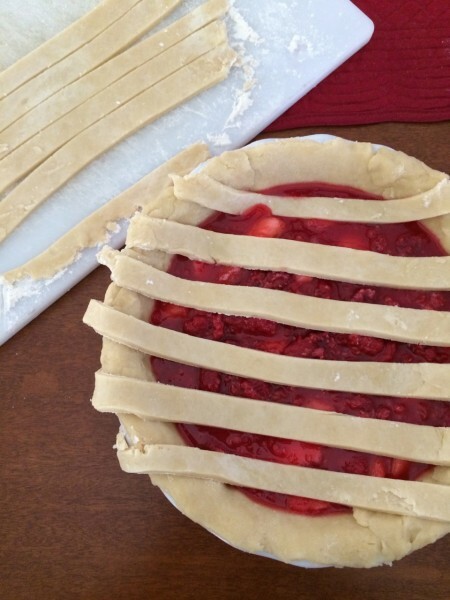 Make a lattice-top pie crust with them – it’s easy and fun; and it’s well-suited for just about any kind of fruit pie. What’s that? You don’t want to have any more sweet pies? 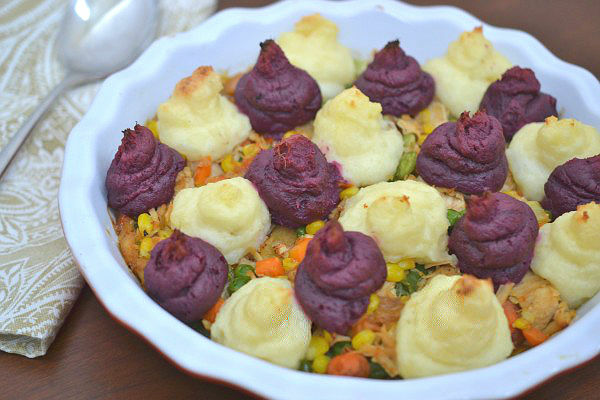 OK, try this fun purple-and-white potato pie made with all of your favorite Thanksgiving leftovers. You’ve got turkey, veggies, and gravy on the bottom, and alternating mashed white potatoes and sweet potatoes on top. We hope you’ll enjoy catching up with the Gilmore Girls, and maybe one of these pies will even inspire you to start a new family tradition. The more pies, the merrier. Blogger disclosure: I am a member of Netflix’s Stream Team, which brings bloggers together with Netflix in support of its streamed entertainment. Netflix has given me an annual membership in exchange for monthly posts. All opinions expressed are my own. Pie pie pie. And Gilmore Girls. That’s all I need.